Hessington Health was established with the principle aim to provide our patients with access to all forms of Private Medical services promptly and at the highest standard. We have over 15 years experience and operate from several insurance approved Private hospitals from Central London to Warwickshire. We gained prominence in West London in 2002 which led to expansion to the Home Counties and the Midlands. Our services are delivered by highly qualified Doctors, Nurses and Pharmacists. For our corporate clients we offer a comprehensive range of Occupational Health services delivered by highly experienced Occupational Health Consultants. These services are bespoke to each organisation and can be tailored for the individual business needs. 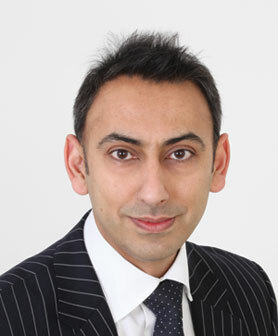 Dr Rai currently works as a NHS GP Principle, Medical School Tutor/ Examiner (University College London), and Cardiology GPSI (GP with a Specialist Interest) Lead for Hertfordshire. He has been working as an Occupational Health Physician for 10 years. As the CEO of Hessington Health Ltd, Dr Rai created a unique Occupational Health Software programme – SMaRT Absence Management® which companies can use to track the health and wellbeing of their work force. Dr Rai also created Health-Port®, Cloud electronic health records system for patients to use. Health-Port® allows patients to setup and manage their own health records online. Patients can also share their health records securely with Consultants stream lining their care.